Credit: Jakob Vinther, University of Bristol. Professor Philip Donoghue, from the University of Bristol's School of Earth Sciences, said: "This allowed us to create a 'shape space' for animal body plans, quantifying their similarities and differences. "Our results show that fundamental evolutionary change was not limited to an early burst of evolutionary experimentation. Animal designs have continued to evolve to the present day – not gradually as Darwin predicted – but in fits and starts, episodically through their evolutionary history." Co-author Bradley Deline, from the University of West Georgia (USA), added: "Our results are important in that they highlight the patterns and pathways in which animal body plans evolved. "Moreover, major expansions in animal form following the Cambrian aligns with other major ecological transitions, such as the exploration of land. "Many of the animals we are familiar with today are objectively bizarre compared with the Cambrian weird wonders. Frankly, butterflies and birds are stranger than anything swimming in the ancient sea." 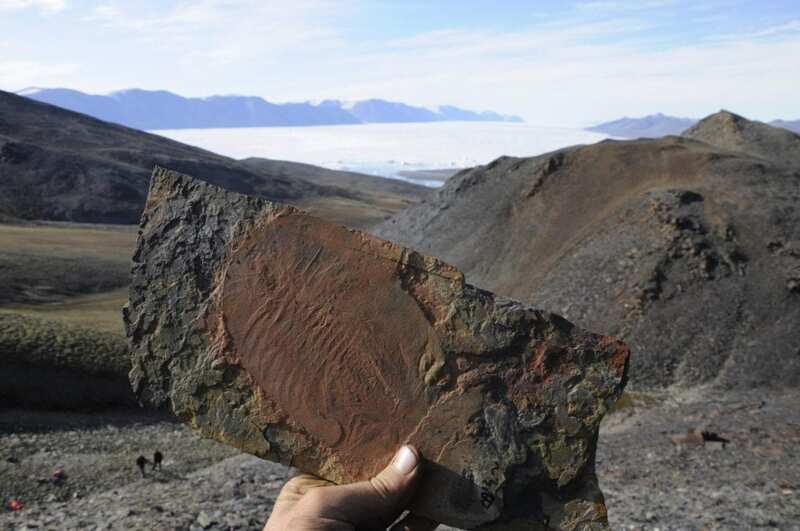 Co-authors James Clark from Bristol's School of Earth Sciences and Dr Mark Puttick from the University of Bath's Department of Biology, worked on trying to fit fossil species into the study. Dr Puttick said: "One of the problems we had is that our study is mostly based on living species and we needed to include fossils. We solved the problem through a combination of analyzing the fossils and using computer models of evolution." James Clark added: "The fossils plot intermediate of their living relatives in shape space. This means that the distinctiveness of living groups is a consequence of the extinction of their evolutionary intermediates. Therefore, animals appear different because of their history rather than unpreserved jumps in anatomy." Co-author Jenny Greenwood, also from the University of Bristol's School of Earth Sciences, wanted to dig deeper. She wanted to work out which of the many proposed genetic mechanisms drove the evolution of animal body plans. Jenny said: "We did this by collecting data on the different genomes, proteins, and regulatory genes, that living animal groups possess. The differences in anatomical designs correlate with regulatory gene sets, but not the type or diversity of proteins. This indicates that it is the evolution of genetic regulation of embryology that precipitated the evolution of animal biodiversity." Co-author Kevin Peterson from Dartmouth College (USA), added: "Our study confirms the view that continued gene regulatory construction was a key to animal evolution."